To change the game, change the business model. But, what if you can’t find one? Tagged business model innovation, business models, Innovation, Strategy. “Without order, nothing can exist. Without chaos, nothing can evolve”. Just found this is great talk by Greg Horowitt, Chief Evangelist and Co-Founder of T2 Venture Creation, about what it takes to create a culture of innovation. It’s about belief systems; both a mindset and heart-set. How many strategic plans look a little bit different from the year before? 99.9% do. When I say “a little bit different” I mean tighter strategies with incremental goals and objectives and more of the same activities as the year before. Yes, we’ve all seen this before. What’s ridiculous is that you may begin a strategy session thinking differently, but most everyone defaults to safe because “that’s not what the boss expects” when the time comes to decide on a course of action; a lot of good ideas are not considered because of this. This situation presents itself in most businesses, but the ones who are able to leap ahead have one thing in common: they are ruled by ideas, not hierarchy. Over the last few months of 2014 I was involved in facilitating a strategic plan for a government created mechanism in charge of coordinating entrepreneurial activities in the city of Tijuana. They brought me in because they wanted to shake things up! There were many challenges, but the main thing was to be more ambitious. Unfortunately, it’s one thing to say “let’s rethink our approach” and another to actually go forward with it. Well, that’s exactly what happened after the strategy sessions. The ideas that were presented in the strategic plan were cookie-cutter versions of what happens in other entrepreneurial ecosystems around the world, in this case they are localized to Tijuana. The sad thing about it is that the people in charge of this government mechanism, the boss, vetted all of the ideas; even though they were the same as the year before. Because the group of people that came up with the strategic plan wanted to shake things up, but only just a little bit. The result was almost the same set of activities as the year before, with incremental goals and objectives. In innovative organizations, there is a unique understanding that to shake things up one has to STOP doing what leads to more of the same and START doing what will lead to new and different. So, if the decision making process in your business is to go through a suit (business as usual) that values safe bets that lead to more of the same; now you know what will counter that: letting the best idea win. If we make a list of all the projects we are working on, do any of those have the potential to change our business significantly over the next year? 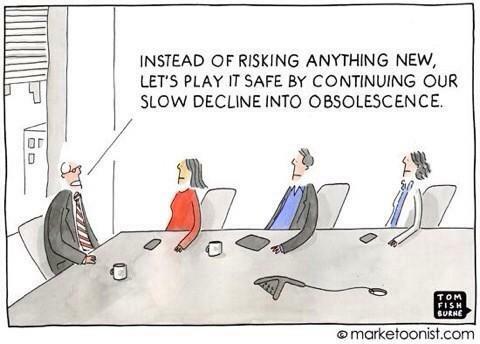 What’s the boldest idea we should work on? Best and bold are subjective terms, so it is best to first develop a criteria for what you want. 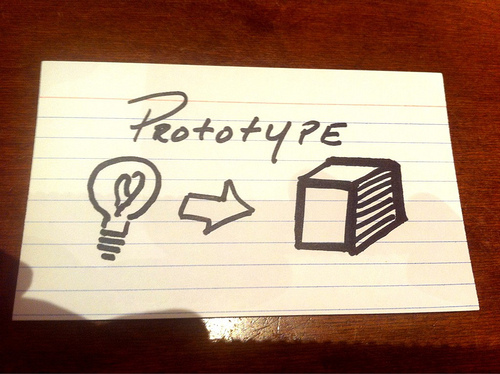 The criteria I use to describe innovativeness is: new, surprising and radically useful. Secondly, come up with some ideas that fit the criteria you defined. And finally, define a timeframe to see some prototypes and let people try stuff and don’t judge them if their idea fails. The main point is people need freedom, support and challenge to make innovation happen; not to think twice about expressing themselves freely because they fear getting punished. Put simply, if you are afraid to say what you really think in a meeting, you are not free. You are a corporate slave. True innovators do away with corporate slavery. True innovators trust people to do the right thing, and that starts with defining culture and then hiring for specific values and behaviors. Hiring is hard, it’s the most important job for any business, and there isn’t a cookie-cutter recipe to follow, but if you focus on hiring for brilliance you can be certain that the best ideas will win; not the loudest voice in the room. Bottom line: A culture that values playing it safe, is a culture that stagnates. A culture that thrives is one where people and ideas that challenge the status quo are valued. Tagged culture of innovation, Decision making, Leadership, Strategic planning, Strategy. Indeed. Scrappy startups are known for acting with speed and conviction, while established organizations are slow and risk averse. When implemented well, speed and surprise are the ultimate equalizers. To achieve surprise, you need an unexpected idea first. Second, you need to have the ability to execute that idea. Third, you need to decide when and how to execute the idea. Tagged Apple Inc., eric schmidt, google, Innovation, Prototyping. “After this, the world will never be the same…” Those are the words a true innovator should say with complete conviction about their product or service because a world-changing outcome is what she/he sees in the future. Unfortunately, this isn’t the case on most occasions.